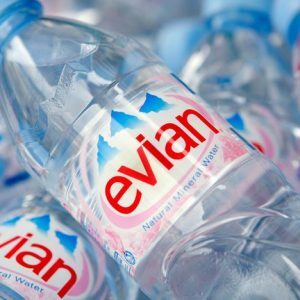 There are so many bottled water brands all over the world, but if there is one brand that stands out because of its expensive price tag, that would be Evian Water. This bottled water brand is a favorite among celebrities and people of high stature that Evian has become a celebrity itself. Even though Evian Water is somehow considered the superstar among the other bottled water brands, it actually came from a humble village called Evian-les-Bains, where it got its name. Evian-les-Bains is a small village in the French Republic that can be found beneath the Alps and on the shores of Lake Geneva, which is the second largest freshwater lake in Europe. Below are the latest Evian Water prices. The history of Evian Water dates back to 1789 when the Marquis de Lessert took a walk in the countryside of Evian. The Marquis was allegedly suffering from liver and kidney problems back then. During his walk, he drank water from the Sainte Catherine spring, which is in the property of a certain Mr. Cachat. After drinking the water, the Marquis believed that his health improved significantly and he became convinced that it was because of the water that he drank. He claimed that the water from the spring cured him. Cachat fenced off his spring and began selling the water as the doctors in the area also began prescribing the water for other patients. The water was named Source Cachat and the spring where the Marquis drank from, as well as the others in the area made Evian-les-Bains synonymous with health and perfect water. In 1878, the bottling of the Cachat water was authorized by the French Ministry of Health because of the recommendation of the Medicine Academy. Then, in 1908, Evian water began to be sold in glass bottles, which was manufactured by Souchon-Neuvesel. The said glass factory is now part of Owens-Illinois, which is a Fortune 500 company specializing in container glass products. In 1969, the first PVC bottle was launched and the following year, the Danone Group took full control of the Evian brand. The bottled water brand made its entrance into the US market in 1978 and by 1995, Evian has switched to using collapsible PET bottles. Evian Water has always been in the limelight and has enjoyed several celebrity endorsements. The brand even teamed up withVirgin Records and EMI in 1998 for the mix album Club Nation, which featured Evian in the advertisements. The brand logo was included on the cover of the album and in six full pages in the booklet. The Evian bottle was also featured on the cover of CD1 and a crushed Evian bottle on CD2. Evian has made it convenient for consumers by coming up with different bottle sizes so that consumers can have one at home and even take a bottle when they are on the go. So, if you want a large bottle, you can either get a 1 liter or a 1.5 liter Evian Water. If you are going to the gym, going for a run, or traveling, you can opt for the smaller bottles that can fit easily in your bag or even your pocket. 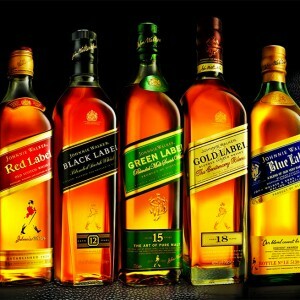 Smaller sizes are available in 330 ml, 500 ml, and 750 ml. Evian also has water bottles made for special occasions. You can get a simple, modern, and elegant glass bottles in 750 ml and 330 ml, for instances when you want only the best and the finest. There are also limited edition bottles, which feature creations from Christian Lacroix, Jean-Paul Gaultier, and Paul Smith. Evian Water comes from sources which date back millions of years, to the very birth of the French Alps. The French Alps were created with the shifting of rocks which resulted in the beauty and creation of the rural mineral paradise of the region. The mountains were protected with glaciers and layers of moraine levels, which also served as a natural purifying system. The purification and mineral process take about 15 years to be completed. Each summer, the snow-capped peaks of the Alps melt and the water move through the Vinzier Plateau, which has glacier sands rich in minerals. The layers act as a sifter filled with sand. Eventually, the water moves down the Alps and ends up in the springs of Evian. The water is protected from pollution and contamination because the glacier sand is surrounded by clay. The water from the Evian springs are then bottled in a nearby hygienic and automated plant. Then, it is shipped from the original source to the rest of the world, adding up more reasons why Evian Water is more pricey than other bottled water brands.